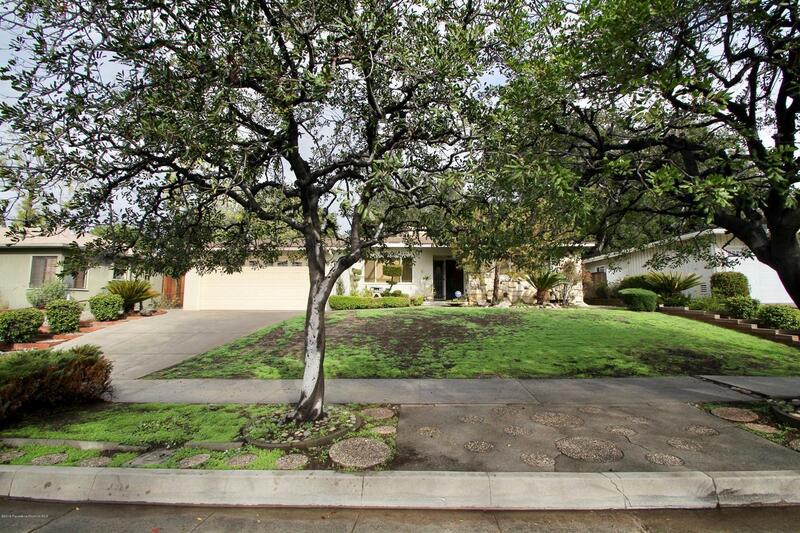 Located on a gorgeous tree lined street, this spacious 3 bedroom 2 bathroom mid century boasts 1727 sq. ft. of living space and has a backyard perfect for relaxing or entertaining. Set amidst handsomely landscaped grounds and a patio accessible from the living room, the home has charming original details such as hardwood floors, built-ins and an attractive fireplace in the living room. The vintage kitchen & adjacent dining area provide ample space for the family chef to design their dream kitchen, and the separate family room features new carpeting and sliding glass door overlooking the back yard. The bedrooms are large and there are 2 bathrooms. There is a laundry area and a 2 car garage. Conveniently located near parks, Gold Line and shopping, this house is ready to be your home for years to come.